OSWEGO, NY – Despite a dozen Lighthouse Lanes SBS Series race cars filling the pit area at Evans Mills Speedway this past Sunday for the series’ first ever event, Mother Nature had other ideas after the completion of hot laps. At the conclusion of the afternoon’s two practice sessions, the skies opened up at Evans Mills, where several drivers had just broke into the low 15-second bracket with their Small Block Supermodifieds. Heavy showers surrounded the speedway with rain falling for more than a half hour. With a soaked race track and more thunderstorms on the way, officials were forced to cancel Sunday’s racing and postpone the Lighthouse Lanes SBS Series portion to Sunday, September 17 which will now be the ‘Fall Brawl 50.’ More details on the late season event including laps, purse, and start times, will be released in the coming weeks. Friday’s action at Spencer Speedway in Williamson will consist of a full heat racing program plus a 30-lap main event for the Lighthouse Lanes SBS Series which will join the track’s regular divisions the Sunoco Modifieds, Super Six, and 4-Cylinders. The New York Super Stocks will also be on hand running a 25-lap feature, making for nearly 140 laps of racing action. Pit gates will open at 4:00pm this Friday night with general admission grandstand gates swinging open at 5:30pm. Hot laps will hit the track at 6pm before racing gets the green flag at 7pm. For more information including pricing and a full schedule, visit SpencerSpeedway.org. All of the drivers in the pit area at Evans Mills are also expected to be at Spencer this weekend amongst more invaders, with a full roster expected to be available later in the week. 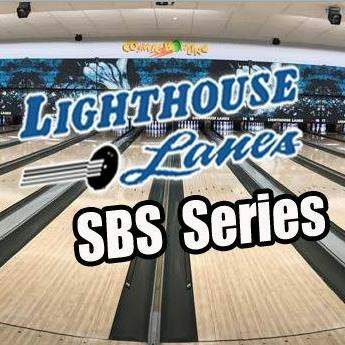 The Lighthouse Lanes SBS Series website is nearly ready for launch. Stay tuned as Friday’s racing nears. A full gallery from Sunday’s rain shortened action courtesy of Alex Borland Race Media is available on the series Facebook page.